Wow, that’s the first quarter of the year finished. How did you get on? As you head into Q2, I invite you to find some time today to reflect on the results that you have gained in these last three months. The most successful business owners do this. You want to know where all your time, efforts and energy has been most effective, don’t you? Good! Taking time to work on your business today will help you gain more results in the future. Let’s go! So, first, let’s look at what worked well for you and your business from January to March. Grab your notebook and a pen and you’ll need your calendar and invoice sheet. 1. What sales activities gave you results? e.g. How many business meetings did you have? check the ratio of meetings to business won. How many calls did you make and what results did you gain? 2. What marketing activities gave you the leads that converted to new business? 3. Who recommended new business contacts to you? – have you thanked them? Can you reciprocate? 4. What networking events gave you new contacts? – and a shameless plug for my own networking event here! “Contacts and Cocktails” are working wonders for people. So many contacts are being shared and leads are being passed on the night and good business is being made afterwards. I hold them every month, it’s a fun and productive evening. Check out the next dates here. 5. What blog titles or newsletter subject headers gave you the highest open rates, shares, and importantly, enquiries? 6. Was there something new you did that gave you the results you were looking for? 7. How do you feel? An important piece of evidence to be aware of. Happy, satisfied, confident? or do you need to change your thinking to change how you feel? Please take some time to work this out today, especially now while it’s all fresh in your mind. Reflecting on what has worked will give you a good boost and show you clearly what to repeat, tweak or ditch! I’m here to help and support you. To your success and happiness, enjoy reflecting on your results today, and make good headway in Q2. 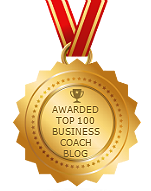 If you found this blog useful, you’ll LOVE my book I’ve written for you to take your business to the next level.